When sitting down to listen to Harlem River my expectations were in check despite being excited to hear something that shares in a musical brotherhood with Woods. 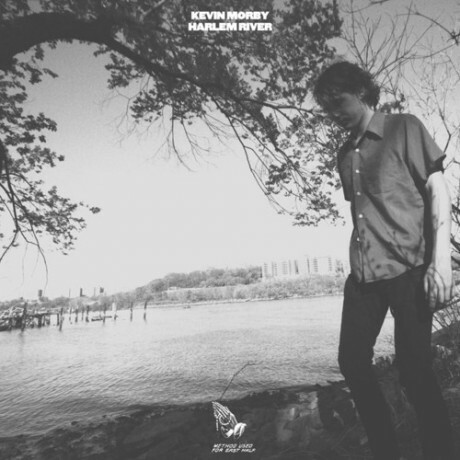 Kevin Morby debuts with a sound entirely different from his earlier work with the Brooklyn trio, whom I consider to one of the best folk outfits to come out of the indie movement in the past decade. The first two tracks exist as a pair of beautiful Dylan-esque ballads that both swing and sway. The organ and fender riffs are somehow familiar to me though I’ve never heard this record before. The album opener, “Miles, Miles Miles”, is an instant repeat classic. Listen to it and tell me otherwise. Morby’s vocal delivery and instrumentation both strikingly resemble “Blonde on Blonde”-era Dylan. By the end of the second track I’ve convinced myself that I’m listening to Bobby himself. “Wild Side” will have you clapping your hands and singing along, believing that you know the words when you don’t, a minute into the song. Harlem River’s title track takes the listener in a different direction while swiftly changing the mood. With a mysterious bass groove that bounces in unison with modest guitar, Morby takes the listener on a hypnotic 10-minute walk that with its splash symbol backdrop could have closed out a Doors record. I’m a huge fan only three songs into the album. My expectation was a lo-fi sound harkening back to a Woods record; however, the entire batch of songs is well-polished with very clean organ, guitar and percussion grooves. Kevin shows us on the fourth and fifth tracks his affinity for both fireside folk and the psychedelic ballad. Our vocalist delivers a soft, crooning performance that accompanies acoustic work reminiscent of Stephen Sills on “If You Leave and If You Marry”. One might also often be reminded of Vetiver throughout the second half of the album, especially on “Slow Train”. It’s wonderful indie-folk that you can kick back and relax to. By the end of the fifth track I’m convinced that this is a fantastic record. “Reign” grabs us by the collar and drags us back to our feet with a classic howling harmonica that cries out over a rolling snare rhythm and Chuck Berry-type blues bars. Consistent with the rest of Harlem River up to this point, this song reminds us that this artist has no qualms wearing his influences on his sleeve. Too soon, only eight tracks in, we conclude with a lovely steel guitar-led country ballad, “The Dead They Don’t Come Back”. Morby rocks the tune back and forth, admitting to the listener a calm fear of death. Harlem River is not an innovative album nor does not attempt to be. Kevin Morby no doubt finds musical solace in simplicity rather than complication, in both emotion and introspection. This is a flat out great rock-and-roll album. It’s always impressive when an artist can break away from his or her mainstay and become something separate and original apart from past work.